There is a perfect “small” element to the story of the Loving couple. This is a key moment in the history of the Civil Rights Movement but at no point is there a grandstanding speech, no huge moment of persecution or violence and certainly no grand ending where the “villains” are finally defeated. There is a real life, personal feel to the tale and that is it’s biggest strength. At least for the first half. 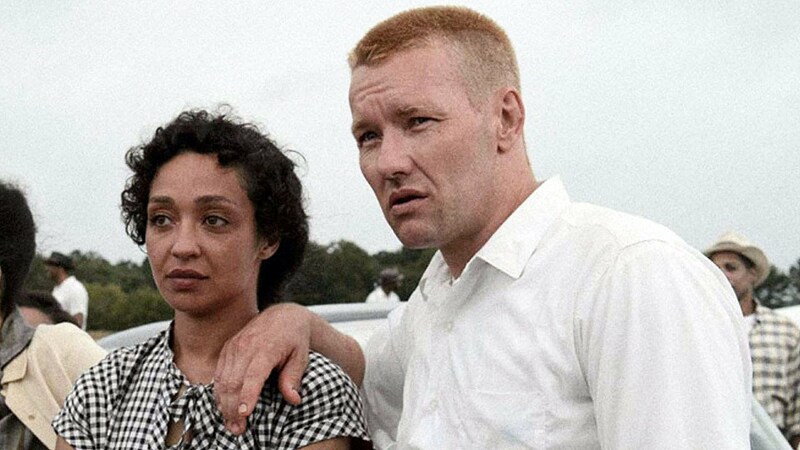 The first half concentrates on the relationship, marriage and pregnancy of Joel Edgerton’s Richard Loving and Ruth Negga’s Mildred Loving. They are a very authentic couple. They have personal concerns, want to bother nobody and are desperate to live their own lives in piece. This is why the act of arresting and tearing these two apart is so shocking without resorting to any scenes of violence or any despicable acts. The simplicity of arresting a married couple because they are of different races is an awful enough act. It helps that at the centre of this story are two great actors playing two very unassuming characters. Joel Edgerton’s Richard isn’t your typical dramatic hero. He doesn’t shout, take action in any grand way or even deliver the great, rousing speech to release his wife from prison. Instead he carves a stoic, sometimes defeated but also strong figure. His silence is often much more effective than anything a shouting match would achieve and when the police show-up in one of their attempts to arrest the couple, him standing his ground rather than fighting his corner holds a lot of power. It is in the fact that Richard just wants to be left alone and to live his life that makes his story so compelling. A quiet, strong actor is needed which is why Edgerton is a perfect choice, making a name for himself with this kind of role. His delivery of the important line “tell them I love my wife,” is much more effective than any grandstanding speech would ever be. 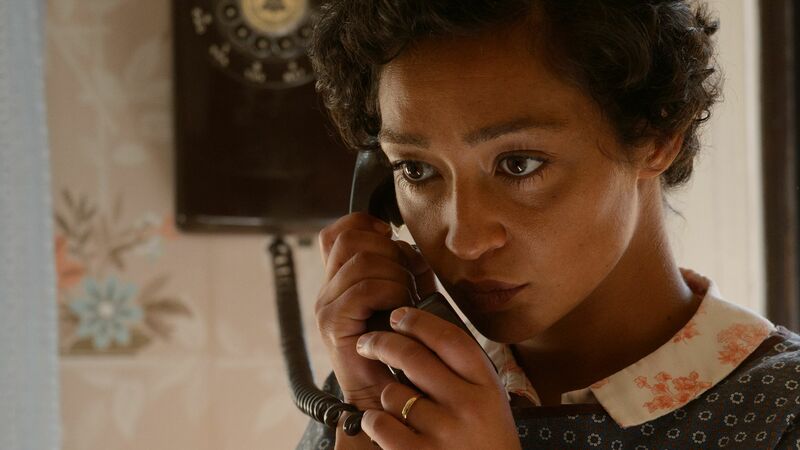 To balance him is the strong but not over-played performance by Ruth Negga. She starts as the seemingly weaker of the pair and manages to drive the tale forward and take the seat in the second act. She becomes the focus of the central protest and manages to ensure that this is as much her story as Edgerton’s. She plays it just as understated, showing that often the more personal stories are the effective ones. Unfortunately, this is such an understated and such a smaller, personal story that once the first half has ended and the plight has been fully established, it begins to lose it’s pace and is in sore need of some sort of set-piece. There are moments which try to build tension but the truth of the matter is that this is a story which ends in a court case. Even this lacks the punch it felt it could have had, with the courts decision delivered by a phone call rather than a huge speech. The film has done the hardest part by this point though and luckily, you will be invested in the characters and want to know the outcome to their story. This is felt the most when the final, traditional text completing the story stirs some heartbreak and poignancy for the end of the couple’s tale. Overall, Loving is an important tale in Civil Right history, told in an understated way and keeping the movie very personal. This is helped by two great central performances by Ruth Negga and Joel Edgerton. The second half lacks pace and punch but by this point you will already be fully invested in their story.